Waldorf School of Lexington - PreK-Grade 8 education based on healthy child development. Passionate teachers, the arts, academics, and athletics. 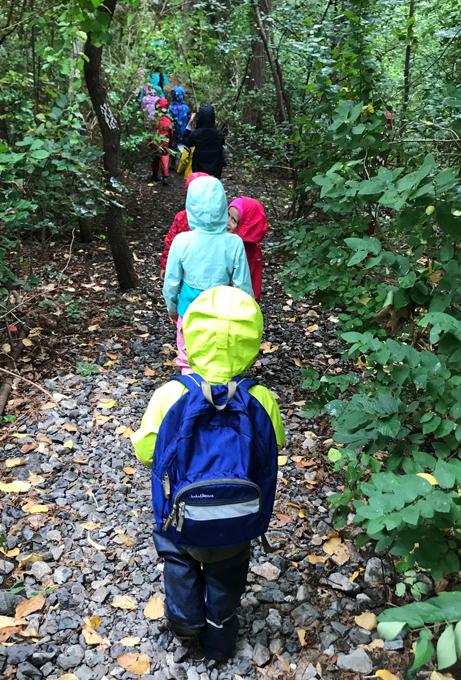 In a fast-paced, media-saturated world that often places undue pressure on children, the Waldorf School of Lexington stands out as a place where childhood is protected, a love of learning is fostered, and students are joyfully engaged in a rich academic curriculum. I feel very fortunate to have joined such a warm, caring school community. I hope you too will be impressed by this time-tested and dynamic educational approach. I encourage you to visit our beautiful historic school buildings and campus, meet our teachers, and see Waldorf education in action. I look forward to welcoming you when you come, and talking with you about how this can be the right place for your child and you. A Waldorf teacher stays with her class from first through eighth grade, forming a bond that strengthens learning. WSL has a strong math program, with math taught by the class teacher as well as a subject specialist from grades 6–8. From reading to knitting, there are many opportunities for older students to mentor younger children. Early childhood teachers delight in exploring the wonders of the natural world with students.